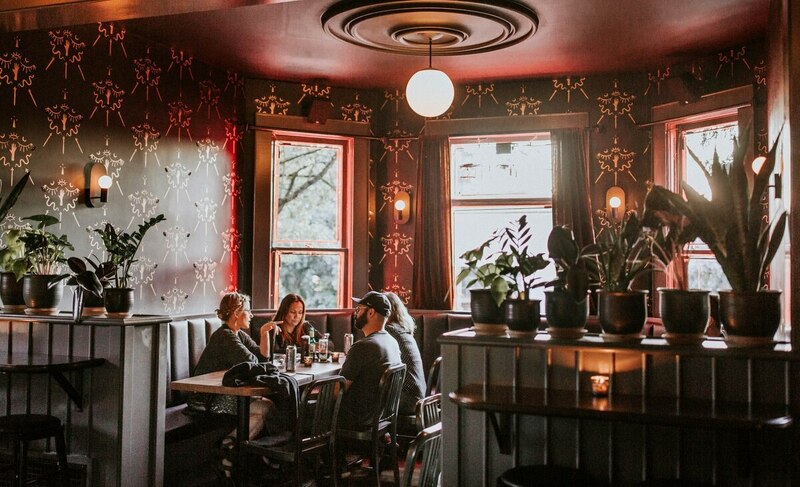 It's not enough just to open a good bar in Portland. 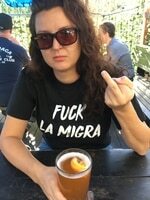 You have to have a theme. And Psychic Bar (3560 N Mississippi Ave.) knows how to work a theme. 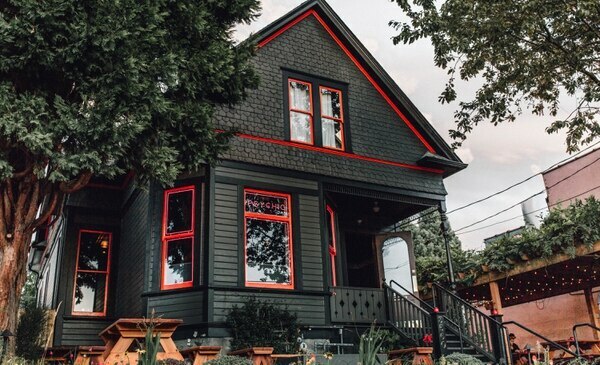 Housed inside a converted black Victorian home, the living-room bar is the creation of indie film producers Neil Kopp and Anish Savjani—whose collective credits include Gus Van Sant's Paranoid Park, Wendy and Lucy and mumblecore classic Hannah Takes the Stairs—and Kopp's wife, Portlandia costumer Amanda Needham. No, there aren't crystal balls on every table or bartenders wearing kaftans. Despite a glowing sign in the window reading "PSYCHIC," the witchy aesthetic is executed with a lot more subtlety. The black and gray walls are adorned with a supernatural motif of moth-like shapes made up of an eye, two crescent moons and a pair of serpents. The loo continues the otherworldly vibe with surreal illusion mirrors that seem to head into infinity. But the main room has a bay window that lets in enough light to make it feel roomy and comfortable rather than just dark, dark, dark. The cocktail menu features a few signatures with names like "Levitator" ($10), a delicious combination of cava, Aperol, absinthe and soda. There's also a tart pear and ginger tea or basil, peach and Darjeeling punch ($6, $10) that does not taste alcoholic but snuck up on me halfway home. The "New Age Aunt" ($9) combines tequila, tamarind syrup and fresh lime that complements a South Asian-inspired menu. Vada pav sliders ($6), black-eyed pea samosas ($6) and tandoori tacos ($9) offer a twist on traditional Indian street food. 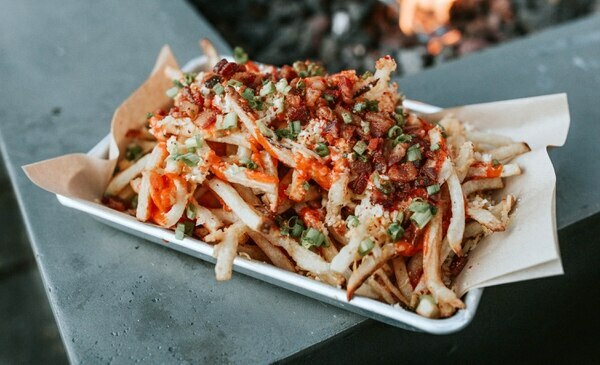 The house fries ($8)—a savory and goopy mess of fragrant massaman curry, cheddar, bacon and scallion—are so addictive one couple mentioned coming in for them two days in a row. Psychic Bar is still a work in progress—though it opened earlier this month, the patio isn't quite finished yet. But you don't have to be clairvoyant to imagine it eventually becoming a popular neighborhood haunt.